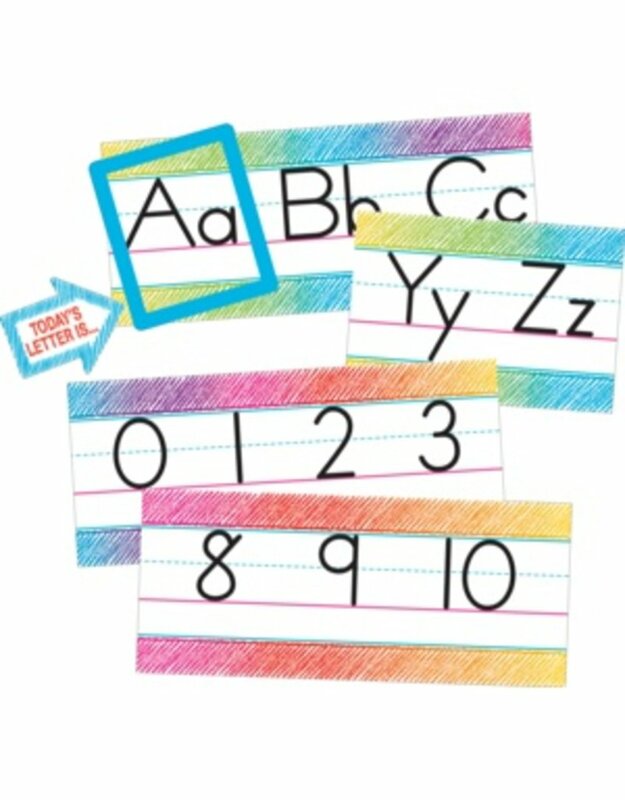 Decorate as you educate with this easy-to-read alphabet line. Includes a frame and arrow that can be used to highlight a letter of the day. Includes numbers 0-10. Also includes a teacher’s guide with suggested activities. Each 3-letter panel is 17-1/2" x 7-1/2". 14 pieces total.